With this critical attitude and you disagree with your partner or colleagues about something... instead of trying to understand their point of view you repeatedly think of many reasons why you are right and they are wrong. And by focusing exclusively on their faults and limitations you become angry and resentful and rather than cherishing them you develop the attitude to harm or discredit them and in this way small disagreements can easily turn into conflicts that simmer for months and even years and eventually kill your relationships. You can communicate happiness... acceptance and compassion to others by not doing great acts of devotion and self sacrifice which often lead to great resentment and by the simple absence of fault finding and censure by being ready to empathize with their notions and feelings... instead of forcing them to conform with yours. You can LISTEN quietly and and seek to UNDERSTAND! While most of the time I like to stay positive in the world the fact remains that despite much wise advice over the years the Divorce Rate in Western Culture is soaring and most modern relationships fail there is simply no way to argue with it. So maybe it would help some of my readers to catch a sign of their failing relationship before it is too late and we all would like to think that we could see the end of our relationship coming from a mile away and the truth is many of us need a little help. To that end here are 8 ways you can bet you are ruining your relationship and heading towards a breakup. There is no better way to help hurry the end of the relationship than to just assume your partner is always there to make your life easier. Whether it is by going to work or staying at home cooking dinner or doing the grocery shopping the ins and outs of our every day existence can take an especially hard toll when it comes to taking that special someone in our lives for granted. Acknowledge your significant others efforts to your joint relationship and life together no matter who is doing what... say thank you and please for being served something or for someone doing you a favour. After all you would not treat a stranger in your home in that manner so why would you treat the one you love any worse? Remember the start of your relationship? You could not stop talking! You might well have spent all night talking to one another or countless hours on the phone or cuddled up on a couch somewhere. Relationships die when the two people in it stop talking and I do not mean actual physical talking like we talk all the time! I mean the kind of real honest conversations that couples have all the time at the beginning of a relationship and which fade over time. That fading is a natural progression in most relationships. The key is to not let that fading turn into never having those real conversations which are not about the kids... your jobs or what you read on Facebook today. Here is help for improving your communication with your partner. Or showing anger when you are angry at your partner or showing adoration when you are feeling especially loving toward them... it is as if the extremes of your emotions are taken away and all you have left is a lot of moderate and unsexy feelings. As much as you might think those feelings are too boring to share they remain just as important to share... yes the passionate feelings at the beginning of any relationship tend to fade for most people. And that does not mean you stop feeling or that you should stop telling your loved one how you feel. Nobody likes to not be heard. So there is no better way to kill a relationship than to stop listening to what your partner has to say. It shows a lack of respect for the person and of course your significant other will pick up on the fact that you are no longer listening and if nobody is listening how can a relationship grow or thrive? Especially important is something called active listening which shows your partner you are actively engaged in the conversation. You become the Killjoy about everything. You hook up together with a partner in life for many reasons like shared perspectives and outlooks... physical attraction... shared spirituality... shared professional lives and so on. And we also enjoy one anothers company because it is fun! When fun leaves a relationship it can be a sign that the relationship is heading to the rocks and fun is a part of life and it is definitely a part of any healthy relationship and you and your significant other define fun and it is important to keep doing it even as your relationship matures. Love to dance and have not been in years then it is time to make a new dance date. Met while hiking or kayaking and have not made time to do it in months or years? Pack the backpack and get your outdoors on. Yes in the past I got to put my hand up to this one until I learned to chill out and relax and I have probably nitpicked a few past relationships into an early death... not because I wanted to because it was a personal concern whose impact I never fully understood until it was too late. Nobody likes being told what to do or how to do it. While some people may be more open to suggestions than other from their helpful partner it can also be seen as nitpicking for little good reason. "There is a better way to clean the sink?" "That is nice use it the next time you do it then okay!" When I want to nitpick nowadays I just keep in mind that if I want to go to the trouble of offering unrequested advice I might as well suggest I do it myself or just do it next time myself without having someone needing to ask. Nitpicking may be a sign of needing to control others and it may also just be a sign of the way some people were brought up. In any case it is a bad habit and one you should try and curtail in your relationship. Wow threatening your significant other is such a turn on... NO IT IS NOT! Whether you are threatening to leave... chop off a bit of anatomy... tell someones parents or find a better life in la la land it is never a good sign for a healthy relationship. Threats are often made in an act of desperation or feeling like a situation is out of control... the threat is an attempt to regain control. However threats are juvenile and more suited for childrens temper tantrums than an adult mature relationship. When a partner resorts to threats it is time to reevaluate the relationships long term potential. They say the one thing worse than being hated by someone is simply to be ignored by them. Being ignored means the person does not even care enough to waste the energy of anger on you. The same is true with relationships and if you take a lot of the previous tips and add them together you have active ignoring and if you are ignoring your partner or vice a versa for any period of time longer than a few days that is a sure sign the relationship is in trouble. You do not hook up with a person only to be ignored by them and if anybody wanted that we would simply go relive our past. The good news is that these signs do not necessarily mean your relationship is over especially when both of your recognize some of these signs and decide you want to reconnect to try and grow your relationship. If you cannot do it on your own and a weekend getaway may be a good way to try do not fret... although it may sound scary or extreme to think about this is exactly what couples coaching is for. Any good couples coach can help most couples improve their relationship in just a few sessions although it may take more than a few depending upon the seriousness of the problems. And YES it does require HARD work from both sides! COOPERATION... LISTENING and UNDERSTANDING and most of all CARING HONESTY and RESPECT! Talk to your partner about your concerns... then seek help if your own personal attempts to help improve the relationship do not work out. I know from personal experience as a coach a great number of relationships have the possibility of being saved if both partners are committed to working on changing it and then take action. Living longer and having fewer physical health problems. Lowered levels of domestic and sexual abuse and violence between men and women. Less likelihood of youth becoming involved in crime... substance abuse and teen pregnancies. Compromise within the context of relationships is troublesome because it implies that someone is giving something up. Cooperation on the other hand strengthens the underlying fabric of relationship through balanced interchange open communication and mutual understanding. Here are some tips and tools to help prompt the process. The very first thing that you bring to the table of relationship is yourself and along with that comes your personality. When the selfish fearful parts of your personality are in play you tend to protect your own interests often forestalling those of your partner. This is not out of some misguided bit of narcissism as it might first appear. Rather our fundamental survival instinct keeps you bound to your self interest and appropriately so as the bent toward narcissism comes out of the interjection of socialization... acculturation... ethnic trajectory and a host of other factors. This transforms what is a natural and somewhat predictable tendency into something a bit more toxic. Say The Words And Ask The Question? One of the keys to developing a cooperative relationship is communication... you always hear about how the lack of communication in relationship makes for difficult going and there are more than enough people fostering advice about how to better that communication and what you tend not to look at is why that communication falters in the first place. It falters in part because you tell yourself stories based on your assumptions... expectations and ideas about the way the world works and these assumptions... expectations and ideas form your model of the world and that model gives you your own unique and not unpredictably selfish perspective. This perspective is selfishness in its purest form... it stifles our ability to see things from another persons point of view and almost demands the imposition of ego that can become so toxic. Making clear authentic statements about how you feel... what you are thinking or what you think you heard someone else say can help us get in front of that self defeating storytelling... the same can be said for asking clear authentic questions because if you know you do not have to guess and you can more easily avoid the needless creation of chaos internal or external. Assumption is the one of the main killers of relationships! If you are prepared to say the words and ask the questions you also need to be prepared to answer them. Cooperation conveys a level playing field and that means no hidden agendas... no little deceptions... no little white lies and no sins of omission. Clarity is crucial because even the most subtle shift can quickly turn a playing field into a battlefield. Stepping away from your model of the world allows you to take your ego out of play. This transforms your interactions into transactions bringing you to a place where both partners are involved in the give and take and taking another persons perspective also deflects many issues around power and control which are often central to the kind of competitive relationship prompted by compromise and fostered by a lack of cooperation. Another of the less than desirable elements associated with compromise is putting up with our partners foibles and fragilities... on the one hand that is simple compassion or holding space. And letting things go in alleged service of maintaining the fabric of relationship often points more toward a distortion of self than to healthy self care and it is important to stay clear on what you can accept and remain firm on what you cannot... this goes back to saying the words asking the questions and being transparent in doing so. Your partnership is best based first and foremost upon a friendship. And that friendship should be a best friendship one that strives to be deep and abiding... resting upon transparency... trust and the type of intimacy that makes communication both verbal and non verbal seamless. For that level of intimacy to be present the friendship that underlies the partnership needs to be well founded and well grounded and the first to effectively support the second a partnership needs to be approached as something organic that grows out of friendship rather than something apart from it. You strive to survive and playing one up or one down in your partnerships derails the very thing that is supposed to be feeding and supporting you. Making an agreement to cooperate with your partner rather than compromise or compete can lead you to a whole new level of connection and communication. Relationships are about teamwork where both work for a Win Win not where one wins and the other loses as that attitude serves no one and in the end will destroy a relationship. 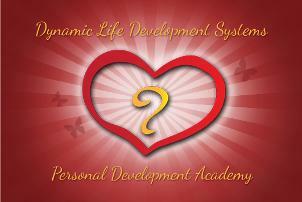 Are you are experiencing difficulties with your lover or are lacking confidence in expressing your own energy? Conflict resolution skills and inter personal skills indispensable for handling all kinds of marital... family and life issues whether large or small and these skills can easily be learned through a Relationship Educator along with other vital social and intimacy skills for a healthy relationship. And as ever always leave a man or a woman all the better for knowing you. Dynamic Lifer... The Tribe of Dynamic Lifers! Join us today and become one of The Tribe a DYNAMIC Lifer and if you want to share with a friend a writing... please go ahead and let them know they can receive their own writings via e mail by directly joining The Tribe of Dynamic Lifers...I am sure they will appreciate your consideration of them.